Andreas Antonopoulos recently held a presentation about the relationship between Bitcoin and blockchain. To some people, it is possible to separate the two entirely, but in reality, things are different. In fact, industry experts seem to think Bitcoin will fail, whereas the blockchain will succeed. It is not fundamentally correct to think either Bitcoin and blockchain will completely succeed, or utterly fail. At its core, both Bitcoin and the blockchain are a revolution in their own rights, and it gives people a lot to think about. Some people dismiss the mere notion of what this concept brings to the table, whereas others seem to be real evangelists. It all comes down to understanding the nuance of what Bitcoin and blockchain are. A lot of people are pondering these same questions, yet fail to come up with proper answers. Bitcoin is the first blockchain of its kind, but it is also much more than that. It enables innovation without permission, and it is fundamentally neutral. There would be no blockchain without Bitcoin, yet the popular cryptocurrency can not work without the blockchain either. Cryptocurrency is fundamentally open, borderless, and censorship-resistant, which makes it very powerful. But at the same time, critics see this as the biggest weaknesses. Bitcoin never asked for permission to exist, and some experts still feel the concept should not be allowed to exist in the first place. Yet it is here, and it is not going away anytime soon. While the attention has shifted to blockchain as of late, it is not the only cog in the machine that makes Bitcoin tick. What makes Bitcoin unique is how it uses the open blockchain, connecting the underbanked and unbanked of the world. Rather than requiring significant investments, all these people need to be connected to the internet is a smartphone. There is only one open blockchain that matters, which is Bitcoin. It may not remain the dominant one indefinitely, though, as it is not perfect either. Banks are looking to build exciting applications for the blockchain they want to adapt. 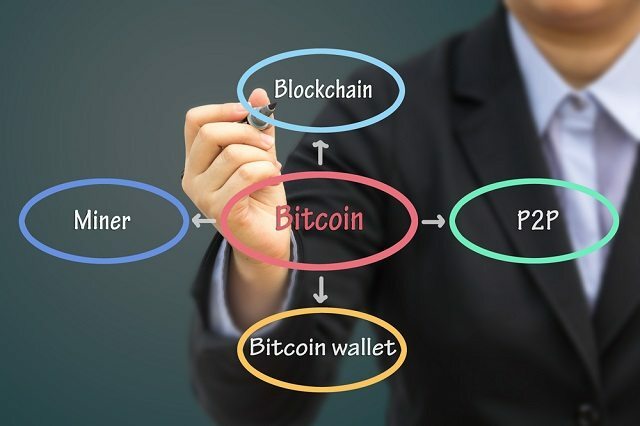 But having just a blockchain is not the answer, as there will be a flawed consensus algorithm, There are a lot of questions to be answered when banks claim they “have a blockchain”, but they do not necessarily understand the limitations. A blockchain itself will not take everything people want it to do automatically. Many financial experts see custom-built blockchains as a solution to ensure everything is tamper-proof. However, that particular trait is guaranteed through proof-of-work, which is not something most private blockchains will use. Immutability, censorship-resistance, and permissionless innovation are only found in the open blockchain, used by cryptocurrency.